garden and showcases creative local cuisine using the best available ingredients. stay updated on our Facebook page. 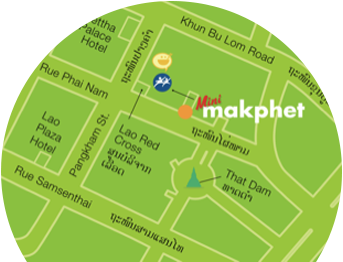 Makphet is run by Peuan Mit, an organization founded by Friends-International in Vientiane in 2004, in partnership with the Ministry of Labor and Social Welfare to address the needs of street children and young people in Laos.